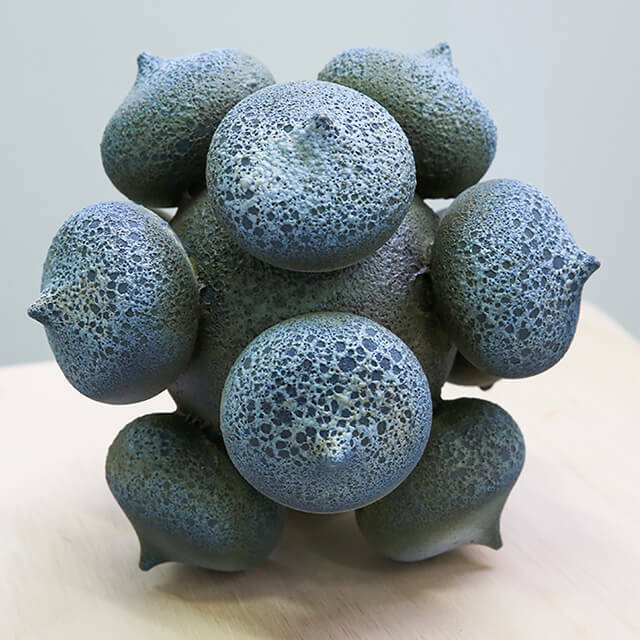 This otherworldly vessel draws clear inspiration from electron microscopy images of pollen to produce a static ceramic form with a strange aliveness. Born from trips to the country’s Botanic Gardens, the collection inspires us to take a closer look at the things we tend to ignore, eradicate or destroy. In particular – pollen – the bringer of hay-fever, yet also the microscopic structures which generate life around our planet. Eden is a stunning centrepiece which draws us in, encouraging us to create our own relationship with nature and an appreciation and sensitivity regarding our exchanges with her. I have always been a creator and a builder - forever making the most weird and wonderful mud pies as a child. I think my passion for ceramics and the outdoors has stemmed from there. I have continued to combine Biology with Art and Design and strive to promote the possibilities that occur when we pair two seemingly unlikely subject areas. Currently based in Aberdeen, I enjoy pushing my ceramic forms as far as I can - always asking 'what if?' 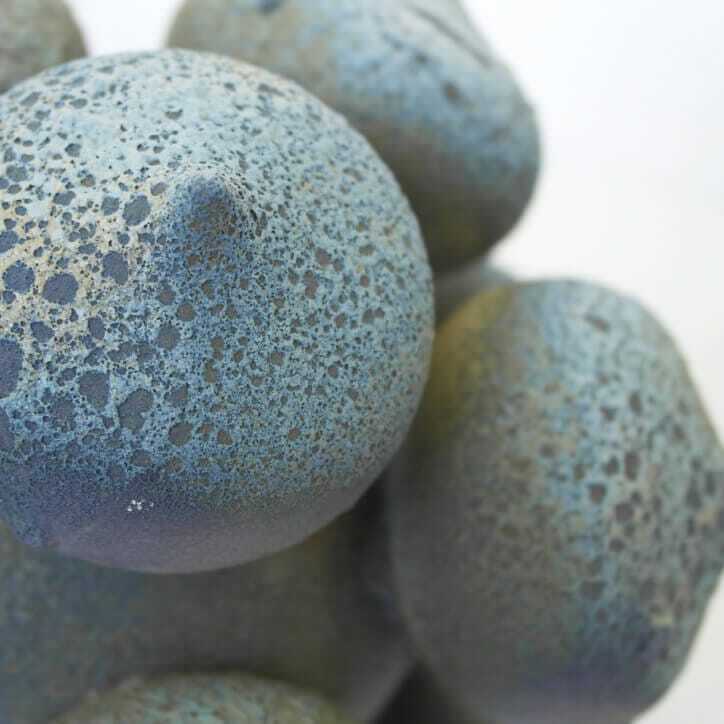 I create my own palette of glaze recipes, fascinated by the way different ingredients react in the heat of the kiln. I love experimentation and the discovery of unexpected results. My work explores the relationship between Art and Science, in particular, each discipline’s exchange with nature. The collections encourage us to take a detailed vision of the things we rarely pay attention to, eradicate or destroy. 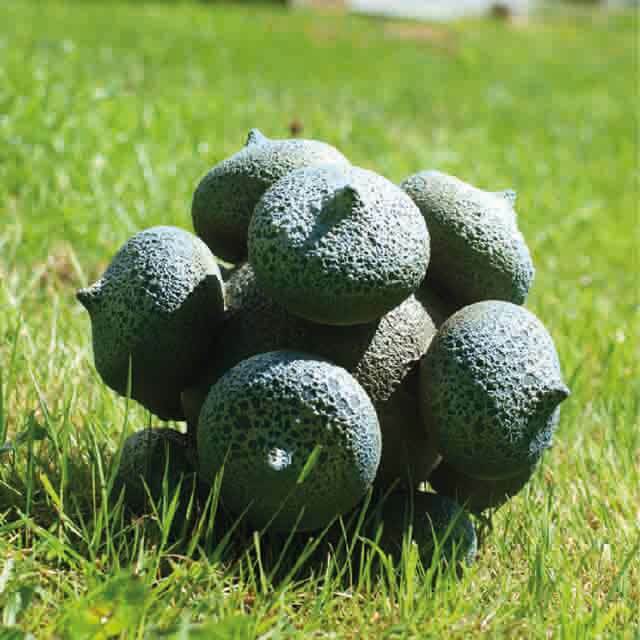 By creating otherworldly vessels from the so called ‘ugly’ - systems and microscopic mechanisms of bacteria, viruses, pollen and weeds – I can produce static ceramic and glass forms with a strange aliveness. By engaging with the ‘ugly’ rather than being lectured by facts and figures, viewers can be inspired by something visually captivating and visceral, in order to create their own relationship with nature and an appreciation and sensitivity regarding our exchanges with her.